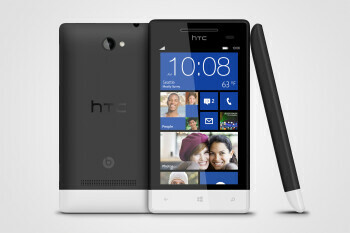 The HTC Windows Phone 8S, the more affordable new Windows Phone 8 smartphone by HTC, has just been unveiled and it will enter direct competition with the Nokia Lumia 820. 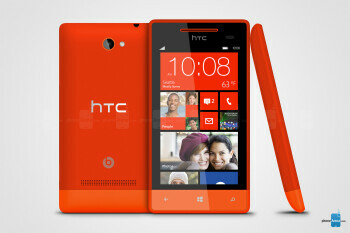 The HTC 8S has a funky design with a brightly colored contrasted chin and a vividly colored earpiece. The device is pretty light at just 113 grams. The hardware doesn’t shoot for the stars - instead it caters to budget minded consumers. We have a 4-inch WVGA (that’s 480 x 800 pixels) screen, a Snapdragon S4 chip with a 1.0GHz dual-core Krait processor, 512MB of RAM and 4GB of internal storage that you can expand via microSD cards. There is a removable panel at the bottom where HTC has placed the micro SIM and microSD card slots. The battery is not removable, though. HTC is including Beats Audio technology on this device to manage to differentiate itself in the Windows Phone arena. 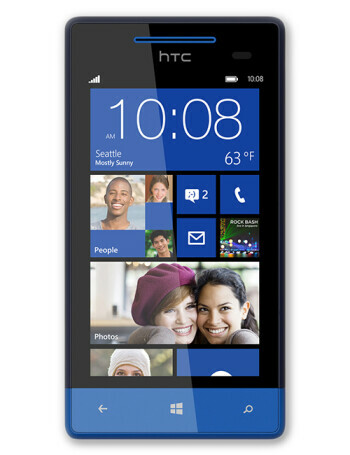 At the back, we have a 5-megapixel camera with f/2.8 aperture, recording videos at 720p. One sore omission is a front facing camera, so there is no easy way to make video calls and make use of the built in Skype client.